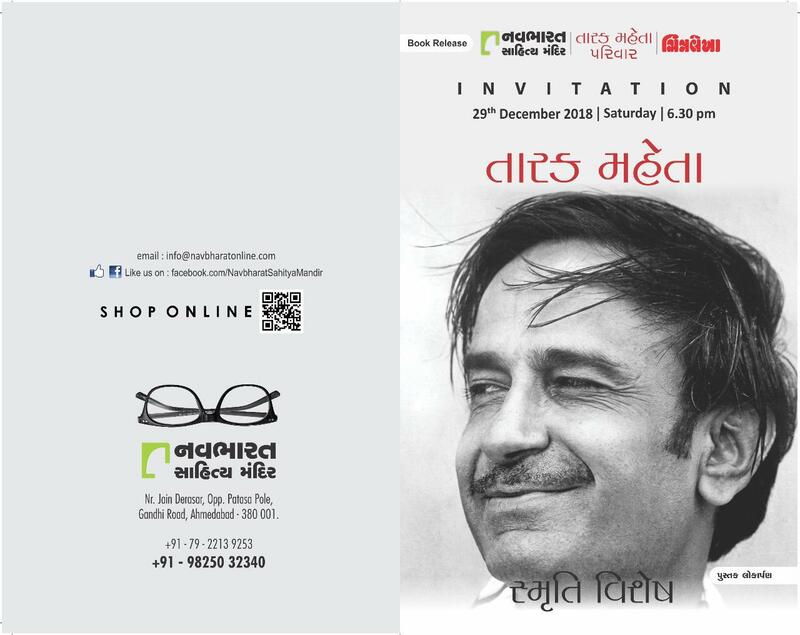 Navbharat Sahitya Mandir, Near Jain Derasar, Opp. Patasa Pole, Gandhi Road, Ahmedabad. 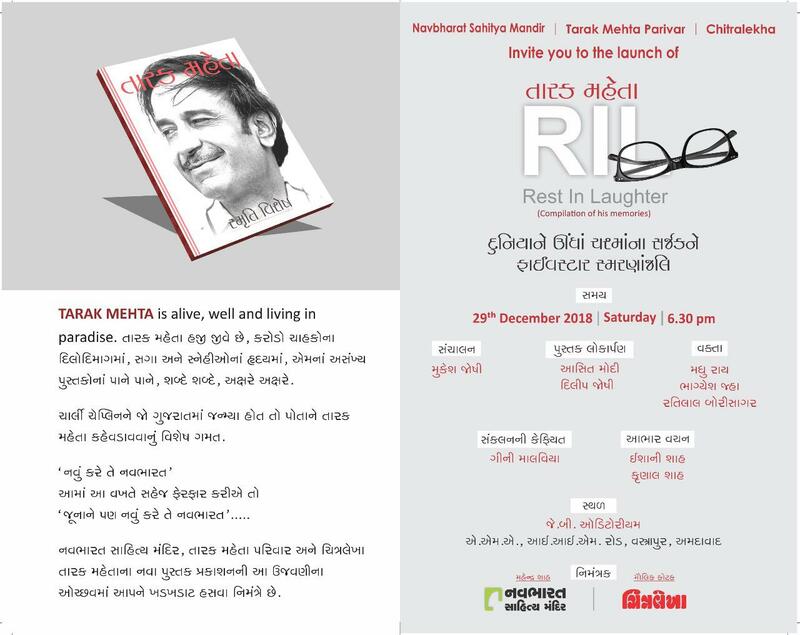 Book Launching – Smruti Vishesh – Tarak Mehta – Rest in Laughter. 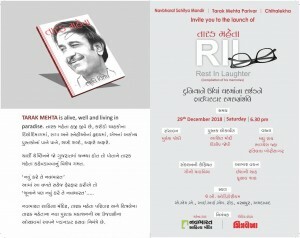 Tarak Mehta is alive, Well and Living in paradise. This event is for laughing.